Funeral service for Joy Marie Bolz, 75, Lawrence will be held at 10:00 a.m. Friday, September 30, 2016 at Calvary Temple Assembly of God. Private family burial will follow at Memorial Park Cemetery. She passed away Monday, September 26, 2016 at her home. Joy was born August 24, 1941 in Leavenworth, KS the daughter of Roy W. and Violet R. (Drennon) Todd. She graduated from Lawrence High School. 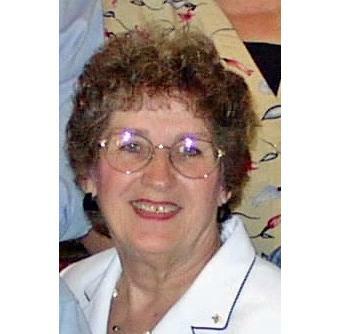 She was an active member of the Calvary Temple Assembly of God. She was a Secretary and Dispatcher for the Lawrence Police Department, then she worked for Southwestern Bell Telephone as a 2nd Line Supervisor and then worked in Revenue and Public Affairs until she retired 1991 She married Mike J. Menhusen September 25, 1976. He preceded her in death January 30, 2002. She later married Albert H. Bolz April 29, 2007 in Camdenton, MO. He survives of the home. Other survivors include her sisters, JoAnn Church (Bob Rose), Carol Brewster (Phil), Linda Lee (Tom), Judy Coffman (Gary) all of Lawrence; brothers, Roy Todd (Judy), Oskaloosa, KS, Jack Todd (Delores), Lawrence, John Todd (Nancy), Olathe, KS; stepdaughter, Allison Martin (Kelly), Lawrence; and four stepgrandchildren, Kahla Brown (Ben), Lawrence, Taylor Martin, Chicago, Aftan Jameson (Robert), Lawrence, and Andrea Bolz, Lawrence; and many nieces and nephews. She was also preceded in death by her parents; sister, Betty Long; and brother, Jerry. Joy will lie in state from 9 a.m. – 6 p.m. Thursday, September 29th at WarrenMcElwain Mortuary in Lawrence. Memorials may be made in her name to the Calvary Temple Assembly of God and may be sent in care of the WarrenMcElwain Mortuary. Online condolences may be sent to warrenmcelwain.com. Please sign this guestbook at Obituaries. LJWorld.com.